We all know that a trip to the dentist can be a pain in the mouth. The key is making sure it doesn’t also leave you with a pain in the wallet. According to a recent poll conducted by the University of Michigan, 28 percent of Americans don’t have dental insurance — and 56 percent only get care if they have serious dental problems. Traditional Medicare doesn’t cover routine checkups, cleanings, fillings, dentures and tooth extractions and many dental insurance policies have a $1,000 annual limit. But skipping the dentist isn’t the answer. As Dr. Michael Roizen, my co-author on the book AgeProof: Living Longer Without Running Out Of Money Or Breaking A Hip, told me the mouth is the window to the body. Not caring for your teeth can bring on a host of other medical issues. Here’s how you can avoid a big dental bill — and make the dentist less avoidable. If you fall into the 28 percent that doesn’t have dental insurance, consider joining a dental savings plan, which can get you up to 60 percent off the regular cost of procedures. “These non-insurance plans work like being a member of Costco or Sam’s Club. You pay a low monthly or annual membership fee, choose one of the in-network dentists, and you’ll get discounts on your dental work,” says Allen Erenbuam, President of the Consumer Health Alliance. Just like you can go and get your hair trimmed for a bargain price at beauty schools, you can do the same for your dental needs. Clinics and dentistry schools across the country can care for you for a fraction of the regular price. “These clinics offer high-quality care that’s done by students-in-training and under the guidance of dental professional instructors,” says Erenbuam. The savings can be significant, up to 50 percent, according to Erenbuam. To see if there is a clinic in your area, visit the American Student Dental Association. Some people avoid the dentist out of fear of not knowing what it’s going to cost them out-of-pocket. If that’s the case, Erenbuam says that you can get a better idea of what dental work costs by using FAIR Health’s free dental cost lookup tool. “You can also use this tool to double-check quotes on procedures from your dentist. If the cost estimate seems high, consider getting a second estimate from another dentist” says Erenbuam. Here’s another reason to keep up with your oral hygiene: If the dentist catches a minor issue, like a small cavity, it can be taken care of quickly and easily at a lower cost. 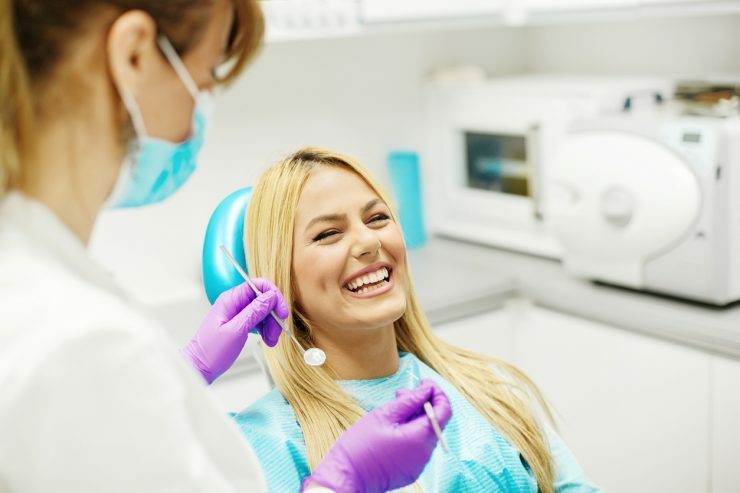 “But if you wait until you’re in pain it may already have become a major issue, which will mean much more time in the chair and a potentially more uncomfortable procedure that could be very expensive,” says Dr. Peter Krimsky, DDS. This is why it’s important to brush twice a day, floss daily and get your teeth cleaned every 6 months — and not just visit the dentist when you’re in pain. Dr. Krimsky also stresses the importance of oral health and its relationship to overall health. “In the past couple of decades, an increasing body of research has shown how oral health issues like gum disease can be directly linked to medical conditions, such as heart disease and diabetes,” says Dr. Krimsky, which is all the more reason to not avoid the dentist.